A key element of handicapping is learning how to identify the running style of each horse in a particular race. When you are able to determine the running style, a picture begins to emerge of how the race will develop. 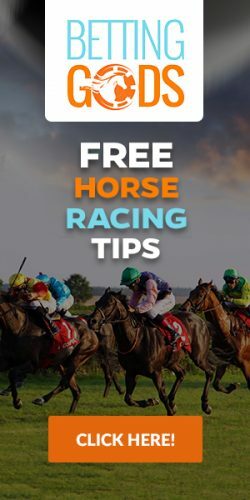 You’ll know which horses are likely to be on the lead, which horses will sit right behind the leaders, and which horses will drop to the rear and run late. Before we start looking at the different types of running styles, here’s an old adage that you will often hear on the racetrack: a good horse carries his track harrow wherever he goes. What this simply means is that the most talented horses can display a variety of running styles that suit the race they are in today. They are multi-dimensional. These kinds of horses should always take precedence in your evaluation prior to making a bet. A front runner is a horse that likes to break from the gate like lightning and run as fast as they can for the entire race. These horses like to be up front on the lead. Many of them run this way because they do not particularly enjoy dirt from horses in front of them being kicked into their face. A front runner is a dangerous competitor, especially when there are no other front runners in the race. If a horse makes the lead unchallenged, it can then set the pace with which it is most comfortable and have plenty of gas left for the final strides. 3-time Kentucky Derby winning jockey, Calvin Borel, is known for his ability to skim the inner rail during a race. He will often return to the winner’s circle with white paint from the rail on his jockey boots! Calvin Borel’s fondness for the rail and willingness to save as much ground as possible in a race has made him one of America’s most successful jockeys. Stalkers, or pace pressers, are horses that like to sit just behind the leader. They will remain in this position until the late stages of the race and then pounce on the weary front runner, passing horses up on their way to winning a race. Stalkers are pretty exciting to watch, and they probably win the greater share of races on a given day. The downside to a pace presser is that they are so dependent upon jockey timing. The jockey must ask the horse for their maximum effort at just the right time. If the stalker moves too early, they will tire in the stretch. If the stalker moves too late, they might not be able to catch the tiring leader. A pace presser running style creates far more opportunities for jockey error, so always prefer experienced jockeys on these types of horses. A deep closer is a horse that will go right to the back of the pack from the very beginning of a race. It is not unusual for these horses to be dead last for more than half of a race! Then, they unleash what is known as their “kick” and sweep past all the horses in front of them for a dramatic, come-from-behind victory. While deep closers are definitely the most exciting horses on the racetrack, they do not win their fair share of races. It is a rare animal that can consistently spot the rest of the field eight or ten lengths and then win. Don’t be afraid to bet a deep closer when they run, but only if you are sure the pace of the race suits them.